This Sterling Silver Pressed Flower Heart Pendant Necklace (in Multi or Light Blue) with 16" chain is currently selling for just $29.00 on Amazon.com! You will be saving 52% off the listed price of $60.00 with this jewelry deal. 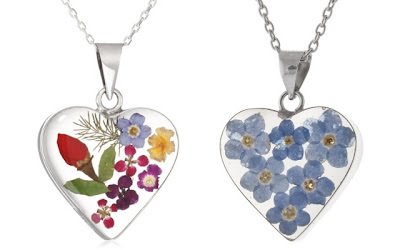 More pressed flower jewelry deals . . .